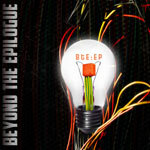 Beyond the Epilogue is the project of composer and multi-instrumentalist Brian Skeel; this EP is his debut work of energetic progressive metal. 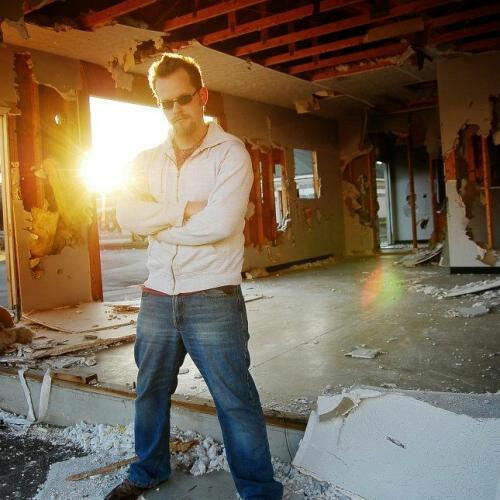 He blends heavier elements of modern metal with Dream Theater and Symphony X caliber, adds as dose of elegant female vocals, provided by Savannah Freeman (who also adds lyrics), against some sparse coarse male vocals. It's a good mix and the arrangements vary, even if the chordage seems suspiciously familiar throughout. Above, Beyond the Epilogue's Brian Skeel: get his EP, so he can fix his house. The EP offer, essentially, three tunes: Unconquered, All This Time, and Discretion of Evil. Then instrumentals of them, which is then followed by 'The Magic Puppet Mix' of Unconquered, first with vocals and then instrumental, again. I don't get all the 'Magic Puppet' stuff as its seems at best, incidental, and then at worst, self-indulgent. Nevertheless, Skeel is on to something huge here, with his mix of conventional and modern metal motifs in a prog wrapper, and the exquisite female vocals add necessary intrigue. Skeel is a profound composer and musician: adept at his creativity and fundamental in his instrumental performance. And there's a certain and genuine accessibility to his compositions. Call it groove or simple melodic hooks, Skeel gets it. Production is sterling, far beyond the realm of some of the indie stuff I've received in past months (maybe even years). So what's the downside? Not much. If anything, he needs to get busy and deliver more, especially if Ms. Freeman is involved. Simply: get this EP. You can download it for free at his BandCamp site. Honestly, with his Beyond the Epilogue project, composer and multi-instrumentalist Brian Skeel is creating something quite good: a rich blend of classic and modern progressive metal. Check it out. Today.